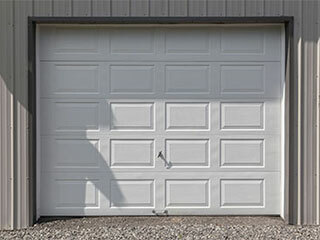 Automatic garage doors have become a regular feature for many homeowners in Newberg. The convenience that automation offers is obvious, but there are a number of safety issues you should be aware of in order to get the most out of your system. Our experts Limit their access to the entrance and any remote controls because they can switch it off and on at will. have put together a list of their most important safety tips, read on to learn more! When your system is in use, ensure the system is kept clear of people and property which might be harmed in the event of an accident. It's crucial for everyone at home, especially children, to be aware of the safety hazards. Beyond this, we advise you to ensure the system's safety features, such as the reverse function and motion sensors are functioning as they should be. Even when not in use, it's wise to keep an eye on the condition of components like the tracks and springs. The way you store things in your garage can have an impact on your system. For example, keep mops, brooms and loose object like balls secure and away from the system’s moving parts so that they don’t become an obstruction. During the system's operation, many of the moving parts grind up against each other which can pinch at and harm any unsuspecting digits. Make sure your children understand to keep their hands away from the tracks and springs at all times, whether in use or not. Keep an eye too on the condition of the backup safety components such as the safety cables to ensure that your system is always supported. Regular maintenance is key when it comes to ensuring your system is safe for use. Take care of your essential components by opting for spring replacement when it's needed, not when they've finally broken. This way you'll protect against a breakdown and be contributing to the overall health and lifespan of the system itself. In checking the system for wear and tear, you should make the sensors and reversal feature a priority. To do this, place an object like a plank of wood underneath the door and trigger it to close. If the door fails to reverse while closing, this indicates a safety hazard which you should get looked as soon as possible. Our repair experts have seen it all! If you're in need of repair assistance in Newberg, Oregon, don't hesitate to give us a call.